Bike is due it’s 2nd annual service, so 3rd if you include the running in service. All it needs is oil change & both filters. Local dealer wants £237 which is more than I was expecting. What have people paid or been quoted? Bought the bike March 16,had an annual at the end of 16(oil change) £120 another at the end of 17(oil change and brake fluid) £160. Do it yourself oil & filter change is really easy air filter not a big problem £237 seems a bit rich. I bought my bike last year as an ex demo with 3,500 on the clock, the dealer serviced it and gave me new tyres when i bought it. I will be due an annual service in a couple of months and the bike will have will have done +/- 8k miles in total. How much should i pay for the service at a BMW dealer? 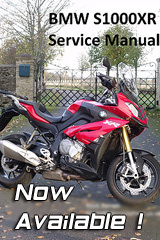 From a technical stand point it’s all BS but the way the system works while your bike is in the 2 year warranty you play the game and so will BMW. As for prices the south east is always going to be more expensive. First year service, £150, 2nd year service and end of warranty check last week, £190..however my mates just booked in and got a quote of £148 on his xr second service.. If this turns out to be the case I'll be on the phone rapid. just had a 6000 mile service on xr oil and brake fluid change and filters and i parted with £317 . I had my yearly service done today at Coopers in Tunbridge Wells with 7348 miles on the clock. Air filter change, Brake fluid change and health check for £190.49. I did the oil and filter change myself last night and saved another £40+ on top of that. Bike was in the workshop for about 2 1/2 hrs. Could have had a loan bike but was peeing down so sat and drank their coffee read MCN and had a look at the bikes.